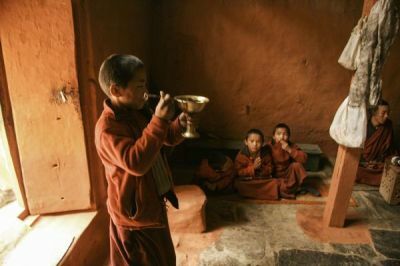 In order to read scripture and provide services to the community the young monks will need to be able to speak and read Tibetan, as well as speak Nepali. 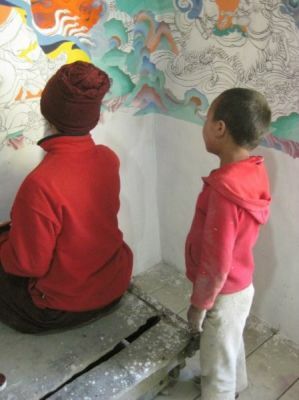 To welcome guests to the gompa and explain their studies and the history of Chhairo to visitors they will need English. Therefore they will receive a secular primary education and the focus on dharma will increase as they get older. 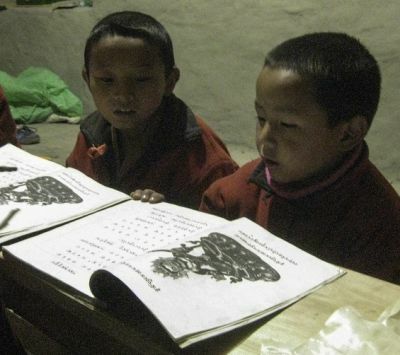 Jamyang Nima is originally from Kharbu VDC in Humla district and began teaching the Chhairo monks in 2014.